Posted: January 5, 2014 2:00 a.m. Updated: January 5, 2014 2:00 a.m. 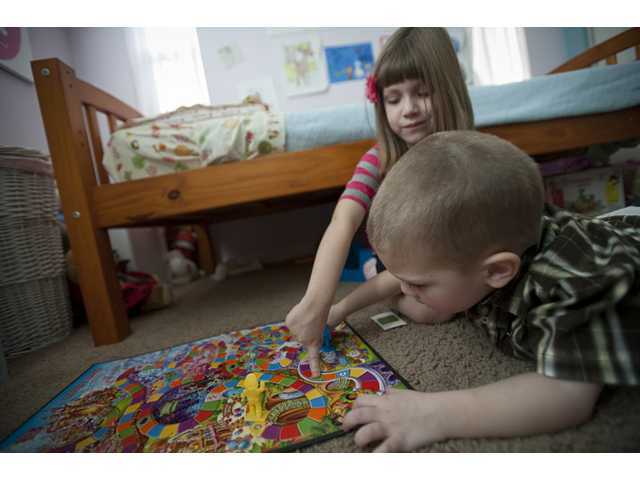 The Smith siblings, Violet, 5, and Ian, 3, pose in the bedroom of their Saugus home Monday. The pair has a primary immunodeficiency disease and receive blood infusions every three weeks. 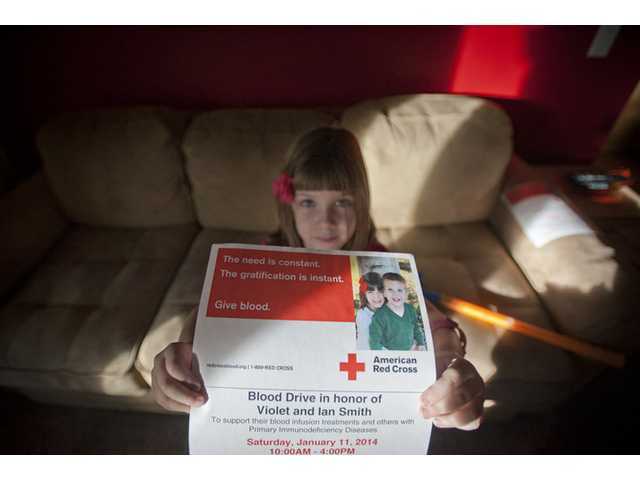 Violet holds up a poster for the Red Cross blood drive her family is hosting Jan. 11 at Grace Baptist Church. Violet and Ian play with toys in their room Monday. 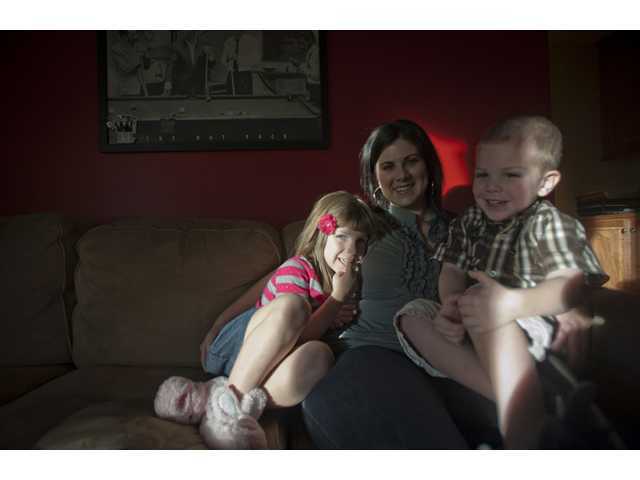 Violet and Ian sit with thier mother, Barb Smith, center, in the living room of their Saugus home Monday. As Violet, 5, and Ian, 3, sit on the floor of the Smiths’ Saugus home, dragging their hands across tubs of toys, they seem like any other brother-and-sister tandem. Digging into a box of cars, Violet carefully selects a remote-control fire truck for her brother. Tucked to the right of Violet’s straight-cut bangs is a pink bow, matching her striped sweater. Like his sister, Ian’s clear eyes are curious and wildly excited after a late afternoon nap. While most rambunctious, energetic siblings suffer runny noses and the occasional bout with the flu, for these two, the consequences are much more severe. For Violet and Ian, a common cold can turn life-threatening in a matter of hours. Both children rely on blood infusions to fight their primary immunodeficiency disease, or PI, a genetic condition they’ve had since birth. There’s no cure, but they rely on a treatment to live as normal a life as possible. While healthy children stave off most bacteria, Violet and Ian contract nearly everything they come into contact with, from pink eye to staff to a stomach bug. Caught up in a good day, the kids seem unaffected as Violet shows her brother how to drive the fire truck across the living room on Monday. But their mother is probably as familiar with the inside of a waiting room as most parents are with their local park. Violet first became sick at 1 month old, and she has been in and out of the hospital since then with various illnesses. Violet would come down with severe fevers, unexplained boils and various infections. Smith and her husband, Keith, knew something larger was at play, she said. They received Violet’s diagnosis when she was 18 months old, and Ian’s followed later, also when he was 18 months. Though sniffles, doctors and needles have become everyday for the entire family, the horrible “mommy gut feeling” never goes away each time she sees sickness strike, Smith said. People with PI live their entire lives more susceptible to infections — enduring recurrent health problems and often developing serious and debilitating illnesses, according to the Immune Deficiency Foundation’s website. The disease can affect any gender, age or race. Playing with their cars, Violet and Ian chased the toys through the late afternoon sun as it filtered in through the window, enjoying the rare moment of normalcy. “They don’t live ‘normal’ lives because they’re not normal kids,” Smith said. Fortunately, with proper medical care, those with PI can live full and independent lives, according to the IDF website. Last September, Violet and Ian started receiving treatment, which helps lessen the severity of the illnesses they contract. Every three weeks, Violet and Ian go to the Children’s Hospital Los Angeles to receive a grueling, intravenous treatment of blood plasma and medication. “It supplies their bodies with the antibodies they need,” she said. For about seven hours, Violet and Ian sit still, hooked up to an IV line. The medication, depending on how quickly it is pushed into the body, often causes a multitude of side effects during and after the treatment. Violet and Ian can experience nausea, fatigue, fevers, migraines and other symptoms for more than 24 hours after the treatment begins, she said. But the treatment is not only draining on the Smiths. The children’s course of medication requires more than 100 donor’s blood plasma, Smith said. Each person’s blood donation counts not only for Violet and Ian, Smith said, but for others who suffer with this disease. To support those affected, Smith is hosting a blood drive Jan. 11 at Grace Baptist Church in Saugus. 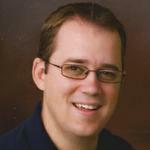 Filling nearly all 50 appointment slots by the time of publication, Smith is looking to open extra appointment slots. Violet approached her mother, Ian tailing behind, to climb into her lap.